If you’re thinking of becoming a nutritional advisor, you’re in the right place. Are you 'The Healthy One' when it comes to diet and nutrition? Do you love the idea of helping others solve their nutritional challenges? Would you love more freedom and control in your life - and help your family more? Whatever your motivation, you'll be amazed at the bright new career that awaits you in the near future, by taking a nutrition course. Nutritional Advisors enjoy much more than just great demand for their services these days—often working from their own homes. And you may have looked at nutrition courses in the past? Well, it’s true: you can become a nutritional advisor, starting today. But how do you get there from here—from your current situation to your new career? One way is to register today for our 'Nutritional Advisor Diploma' course. We’ll show you everything you need to know to go about becoming a Nutritional Advisor. Its a great course! I have many clients now and the knowledge I gained here really helped me to help my clients heal and change their lifestyle. What a nutritional advisor really does—and what you’ll need to be one. The relationship between food labels and healthy eating. The major food groups and their role in nutritional health. Different nutrition needs for children, teenagers adults and later years. Assessing your skills as a nutritional advisor — are you made for this career? Potential client groups you may be able to successfully target. What makes a healthy diet. Understanding food labels and RDA (Recommended Daily Allowance). Basic digestion and anatomy, just for good measure. So, what’s so great about being a Nutritional Advisor? You can work the hours you choose —as few or as many as you like—in pursuit of the income level you need (not that dictated by your boss or anyone else). Every day can be a new, exciting challenge —working with new people, instead of the same old thing day after day after day. You can dictate your own success —by setting your own goals, pursuing your own interests and working with the people and organisations you choose. You can be your own boss —enough said. 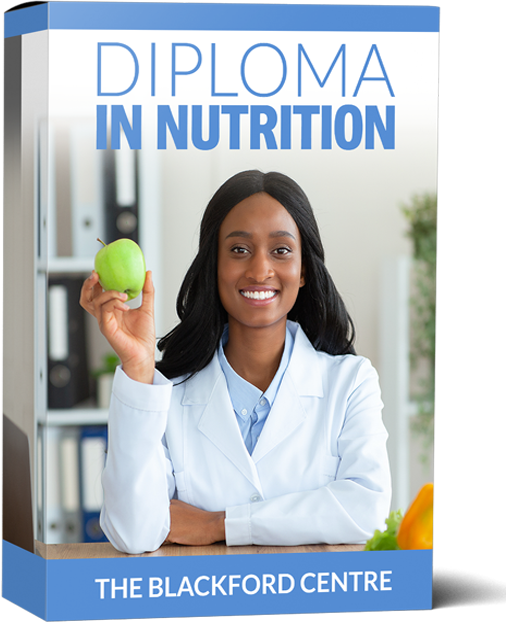 When you have completed your Diploma you’ll be awarded the Diploma in Nutrition – a qualification which will show your knowledge and commitment when it comes to becoming a Nutritional Advisor. Clients will realise the seriousness of your intentions when they see how thoroughly you have studied and prepared for your new role. Having read this far, you've got what it takes - motivation. Now all you have to do is get started. Go to the nutrition course registration form course now, because this is where the adventure and rewards begin. You've waited long enough - why wait any longer? Go ahead and do something for yourself, to make your dreams a reality.